Road trips have forever been a favorite pastime in America and will continue to do so, cause what better way to experience the vast array of stunning coastal views, charming towns, breath taking valleys and rugged cliffs to lush forestry and limitless dessert terrains America has to offer, than behind the wheel of your own automobile with the windows down, wind blowing through your hair, company and music of your choice. This kind of intimate and personal experience is by far the best! If you are looking for road trip ideas, we at VroomVroomVroom have taken the liberty of analyzing the hundreds of possible routes available in U.S. road trip and have condensed them for you. All you need is book and grab your car rental keys or rent an RV to fully explore some of the most beautiful scenic drives in the States. 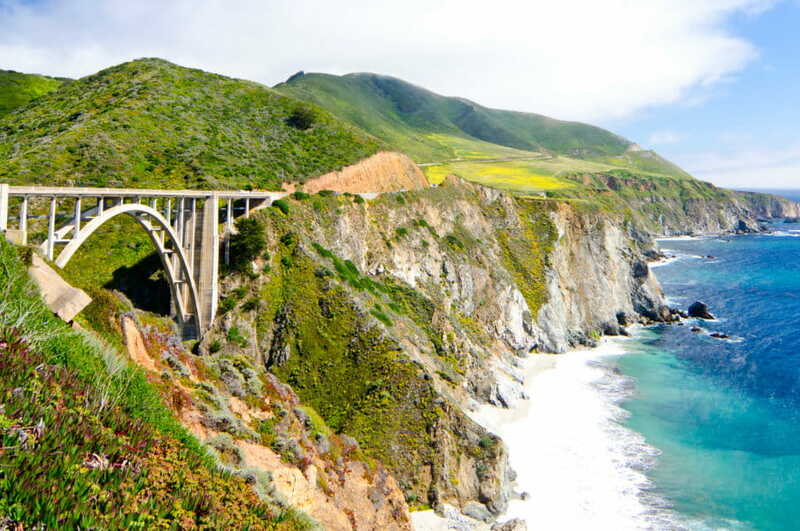 It isn't hard to see why the famous Pacific Coast Highway is considered one of the best drives in the United States. Starting in San Diego, the route takes in some of the best coastal scenery in California. Visit Los Angeles, San Luis Obispo, Hearst Castle and follow the iconic Highway One north toward the charming coastal town of Monterey. Your final destination is the famous City by the Bay, and you'll find plenty of exciting areas to explore in San Francisco. Read our full Highway One itinerary. 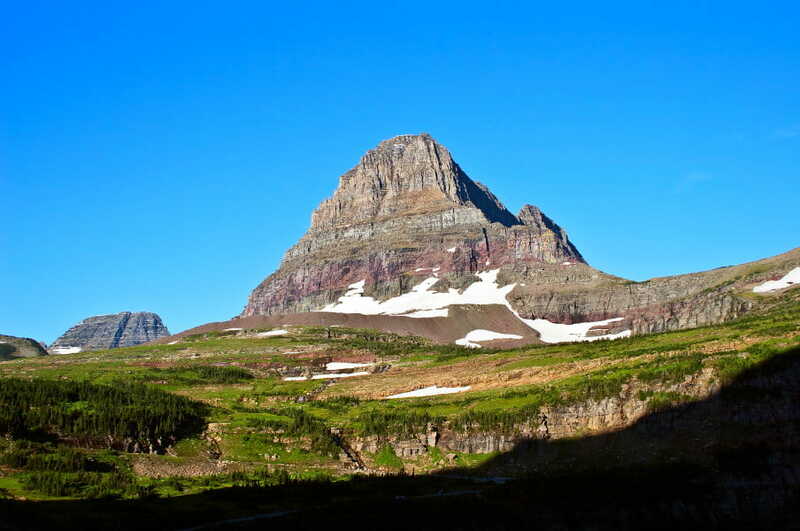 This 50 mile (80 kilometres) jagged cliff hugging mountain journey, is the only road to span the Glacier National Park in Northwest Montana-and what a treat it is. Commencing from either Route 2 Or Route 86 This east/west, west/east road trip in Montana will lead you on a spectacular journey over the continental divide for and easy 1 hour and a half duration through lush green forests alongside Lake Mac Donald, down into deep valleys under plunging glacial covered mountain tops, to Saint Mary Lake where you can view the 100 ft (160 m) high gushing crystal waterfall. This roady is truly a visual treat so also keep those eyes peeled for the odd sighting of mountain goats, big horn Sheep and other forms of wildlife that will be flying around. 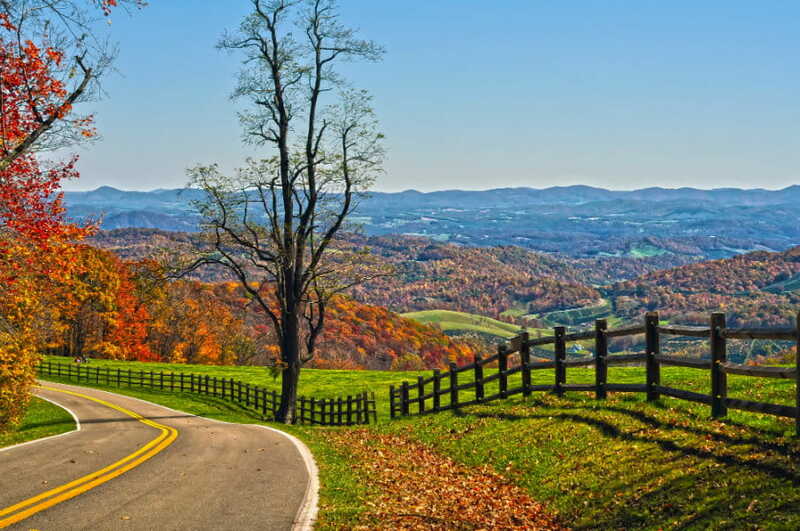 At 469 miles (755 kilometres) long connecting the Shenandoah National Park in Virginia to the Great Smokey Mountains National Park in North Carolina, Blue Ridge Parkway drive is definitely a road trip you won't find anywhere else. With a ban on billboards, commercial traffic and the absence of any commercial towns, the 45 mph speed limit will be a delight as you can truly admire one of the USA's finest scenic drives. Here at Vroom we understand that a 13 and a half hour drive can be quite a strenuous task to achieve in one shot. That's why we've taken the liberty of researching the best section of this stretch of road so you can really get the best of the best. So commence your journey from Either Boone or Cherokee and find your way to Blue Ridge Parkway Road so you can indulge 5 and a half hours of Mountainous terrains, the occasional eerie fog, to waterfalls, wild turkeys and birds, to scarlet sourwoods to deep reds and vibrant yellows during the fall season (End of September-October) to a whole new array of wild flowers that bloom orange, white, pink, purple and red during spring (May- June). Definitely an unforgettable trip which you can enjoy no matter what time of the year it is. 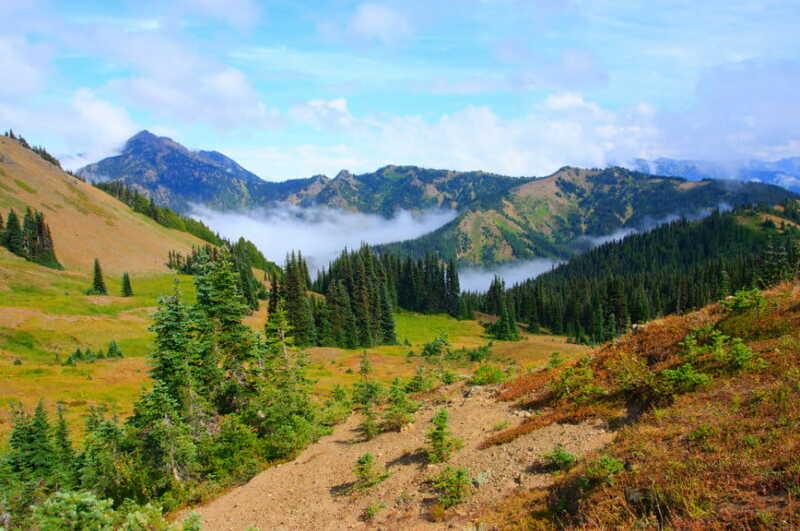 To commence this 330 mile (531 Kilometres) loop Journey, start off in Seattle and make you way to the Olympic Peninsula by connecting onto highway 101 via Junction 104. Choose to either go clockwise or Anti, either way you will still experience stunning views of the glistening White Mountain tops of the Olympic ranges, to picturesque shorelines, gushing waterfalls, small logging towns, past "the most beautiful lake in the United States," -Lake Crescent and to really make this a unique experience, top it off by taking a hike through the Hoh and Quinault rainforests located in the heart of the national park. Nothing beats a short 19 mile (30 kilometers) road trip that takes you back in time through historic beauty. 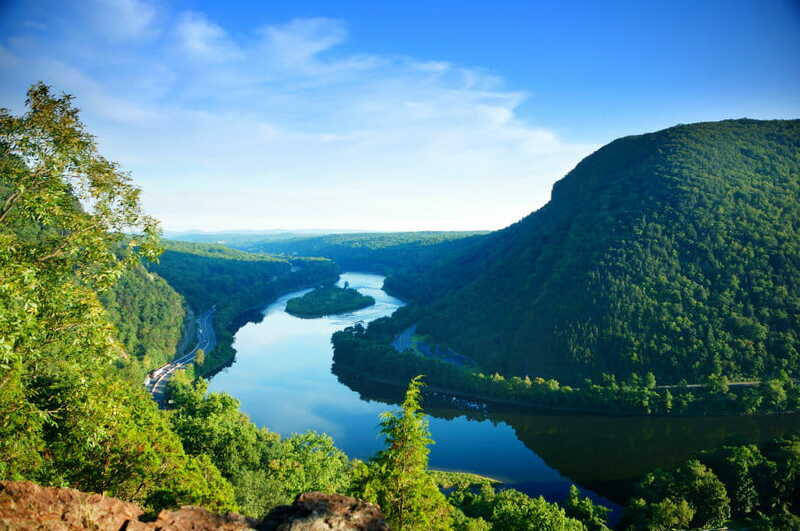 Between South Pennsylvania and North Delaware, you'll find this gorgeous little route that will take you on a loop through scenic chateau country speckled with historic summer estates, twisting narrow wild flower lined roads that trace the Brandywine River, under overarching branches of oak and tulip trees. And if you really want to make the most of this experience, be sure to stop at the 1,077 acre Longwood Gardens which includes and outdoor topiary, 20 indoor gardens and spring-fed lakes. Otherwise, to experience and enjoy this short but fulfilling drive, just make your way to Rte. 100 and follow the narrow road until it connects to Rte. 52 which takes you right back to where you started. Compared to the bustling high speed SH 6 or the congested, overdeveloped Rte. 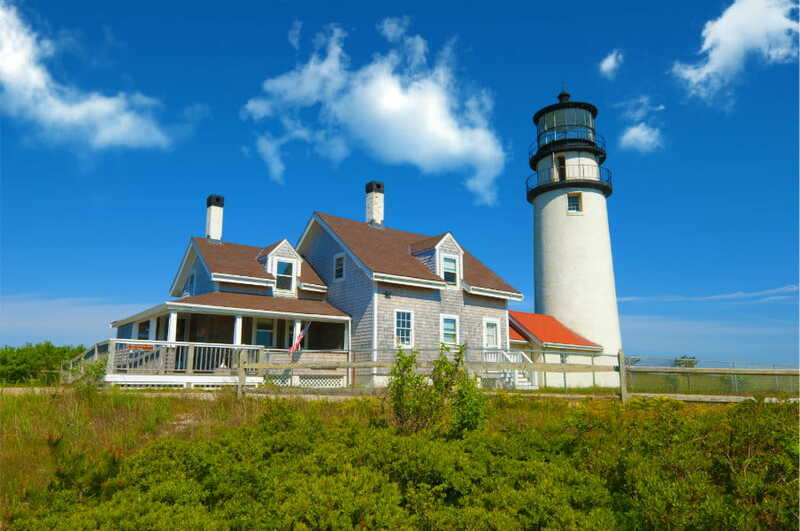 28 along the south shore, taking a 57 mile (91kilometres) drive along the Cape Cods most Historic and scenic Route 6a is a guaranteed pleaser for this top 10 list. From Sandwich through to Brewster you'll get to relish in the dune-lands and charming historic villages that were established in 1639, through to the old Brewster Store that's been in business since the 1850's. Heading to Orleans be sure to take in the views of the best beaches that edge this league of the journey so you can begin to appreciate the next 2,000 acres of scrubby pitch pine/ oak forest and randomly placed fresh water ponds contained within the Nickerson State Park. Continue your journey on SH 6 through Truro then bear left onto Route 6a where the scenic bay-side will lead you to your final destination in lively Provincetown. 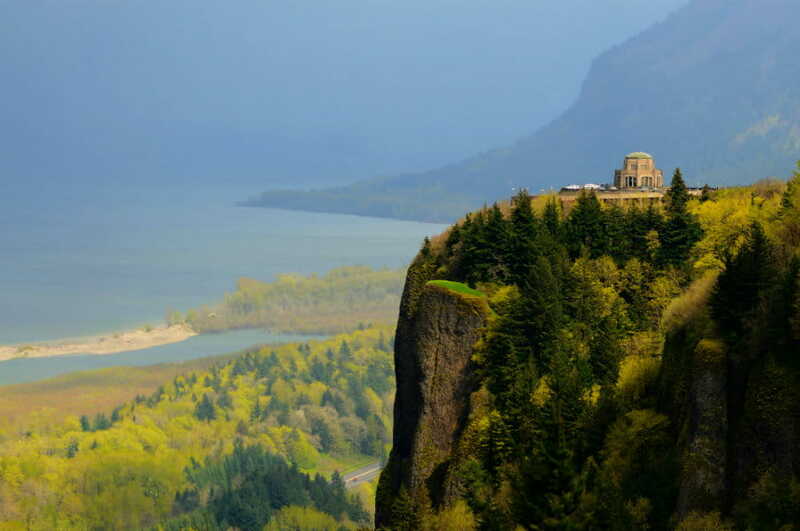 Being built in 1917-this 23 mile (37 Kilometres) road trip is the oldest scenic route in the country and was considered one of the greatest feats for its time. Today, it is revered as a National Historic Landmark that puts on display some the most astonishing views you can witness via your mode of transportation. Commencing in Troutdale, you will embark on an exhilarating journey that will leave you in awe over the marvellous attractions such as the Vista House which sits over 700 ft above the Columbia River, to the series of waterfalls (LaTourell Falls; Wahkeenah Falls-242 ft and Multnomah Falls-620ft) that coat the foliage covered cliffs and flow under the triumphant bridges that still stand to this day and lets not forget the carved out road tunnels that cut through the Cliffside offering the most spectacular views. 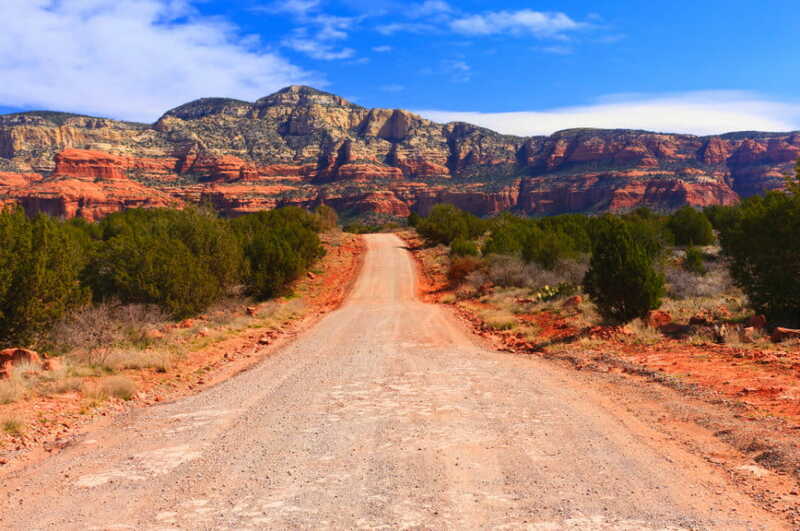 This straight 145 mile journey along Interstate 17 with a minor detour on Route 179(Red Rock Scenic Byway) and 89a to Flagstaff, Arizona or north-south to Phoenix; is definitely a perfect unique road trip experience to have in this top 10 list. Compared to the dense green, orange and colourful forest filled journeys, this trip sends you through the vast seemingly endless dessert terrains and skyscraper like rock formations that crown the horizon making you feel as though you're on another planet. However, make sure to stop and admire the National Monument/ancient cliff dwelling “the Montezuma Castle” or visit the Rock State Park where you can plunge down a natural waterslide that's been carved into the rock to reassure you of human civilisation and to have some fun. Route 66, the original highway from Chicago to Los Angeles measures a whopping 2, 451 miles (3, 945 Kilometers) has now been replaced by the new Interstate highway system to reduce time and travel distance. However, the history on this road cannot be replaced and is the very reason this road is so popular today. With dozens of remarkable old highway towns, to the vast desolate desert plains, this is definitely a road trip to indulge in. See the sights of downtown Chicago, visit St. Louis and make a stop at the unique Cadillac Ranch in Amarillo. 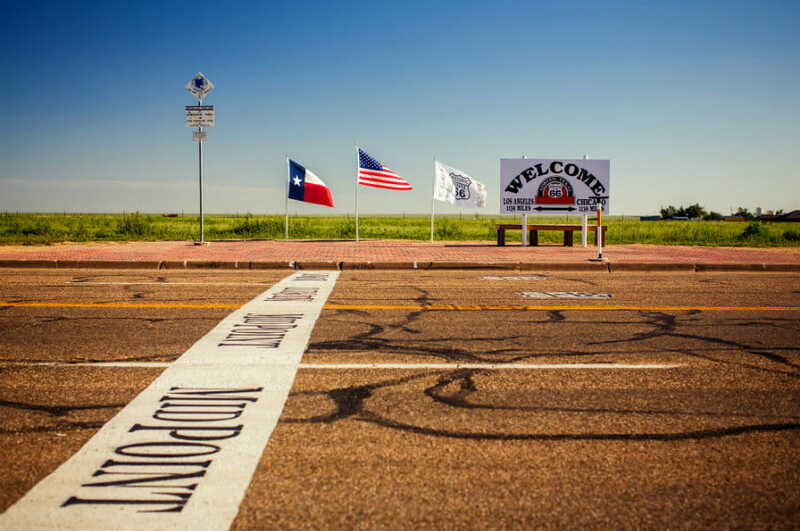 Read the full Route 66 road trip itinerary. 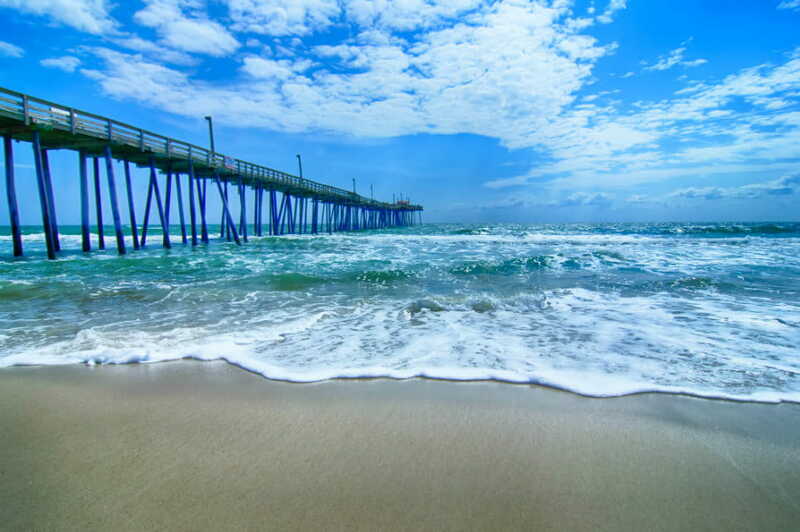 This 100 mile (160 Kilometres) route along Highway 12 (aka Ocean Front Hwy-12) of the Outer Banks, North Carolina offers a rich mixture of seashore experiences: white sand beaches, historical colonial towns, fishing villages to exclusive major tourist areas full of summer homes and massive hotels right over the beach. To get to the Outer Banks one must first cross the Wright Memorial Bridge to Kitty Hawk. From here you can make your way north on 12 to explore the duck beaches and town of Corolla. After which you must now return south of Kitty Hawk through the Pea Island National Wildlife Refuge and the Cape Hatteras National Seashore where the historic lighthouses reside and unfortunately where the highway ends your journey.